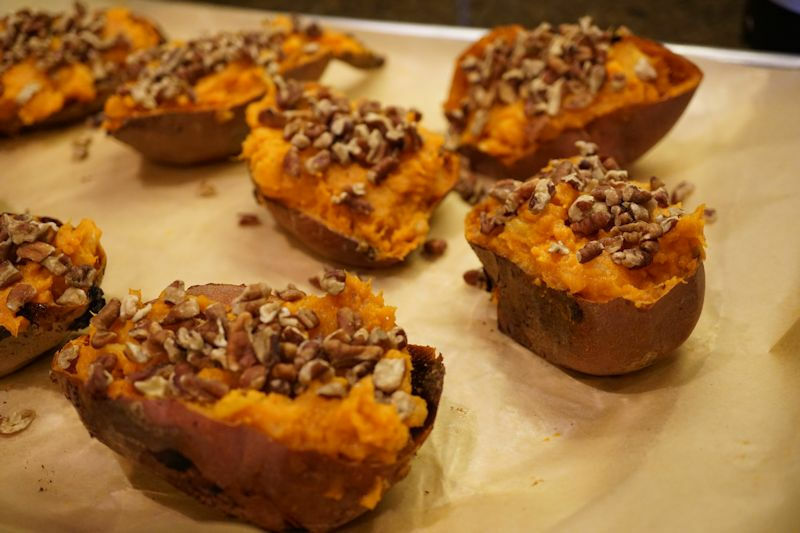 Instead of those marshmallow-y, overly sugary sweet potatoes this year, why not try something healthier? Cut a slit into the top of each potato. Carefully scoop out the pulp from the potato, leaving the skins intact; place the potato in a large bowl. Add the pineapple, coconut sugar, and cinnamon to the potato and stir together. Stuff the potato mixture back into the reserved potato skins. Sprinkle the pecans over each potato.